Good Morning and I hope everyone has had a great week! 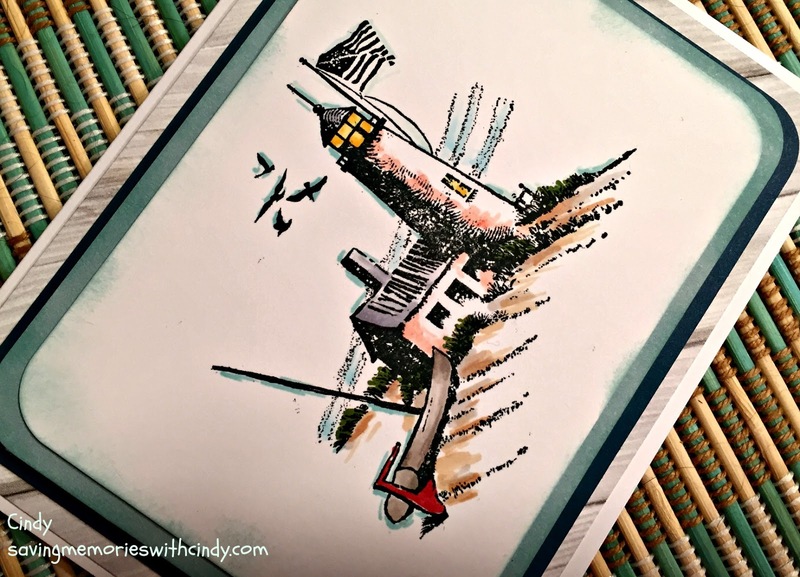 I had a fun time visiting Fort Desoto near Tampa (right where the Gulf of Mexico meets Tampa Bay) and I created a cute hostess gift. First, let me share the little hostess gift. Close To My Heart has a new Cricut Cartridge called Flower Market. The images span the spectrum of creativity by including anything garden, 3D flowers, words and an alphabet font. I love the 3D flowers because not all of them need to be rolled. This is great because you can achieve the texture without all the "work." CTMH has also come up with a new program called "Color of the Year." This color is not in any of the established color groups and will be only available for the duration of the Idea Book. This year the color is called "Sea Glass" and it is a wonderfully pale aqua as the name suggests. The purse was cut using one of the retired CTMH Cricut cartridges. Love Artiste... Anyway, the hibiscus was cut with the Flower Market Cartridge, Cotton Candy, Hollyhock, Fern and Black card stock. It is so simple. You just cut out the layers and glue the pieces together. The dotted paper behind is from the Calypso paper packet that is available in the current expressions mini book. It is a fun packet that includes pineapples and pink flamingos. Check it out on my website. Please hurry if you like pink flamingos as the Calypso (X7210B) is only available until August 31, 2016. Now, for a little about Fort Desoto State Park. The park is located in Pinellas County Florida and was originally the home to a US Army Costal Artillery Company. Today, it is home to hundreds of species of birds and over 1100 acres of beach plants and trees. In many circles, Fort Desoto is considered one of America's Best Beaches. I have had a fun week! 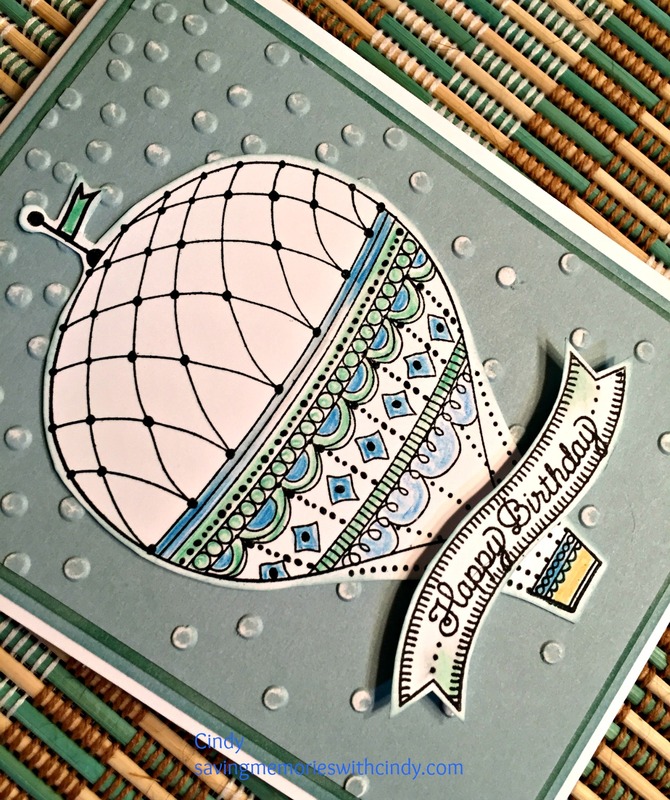 Don't forget my friend Karen over at My Paper Studio. She always has some fun things posted. For Now, Happy Crafting! I think I mentioned that there is a new Close To My Heart Idea Book! 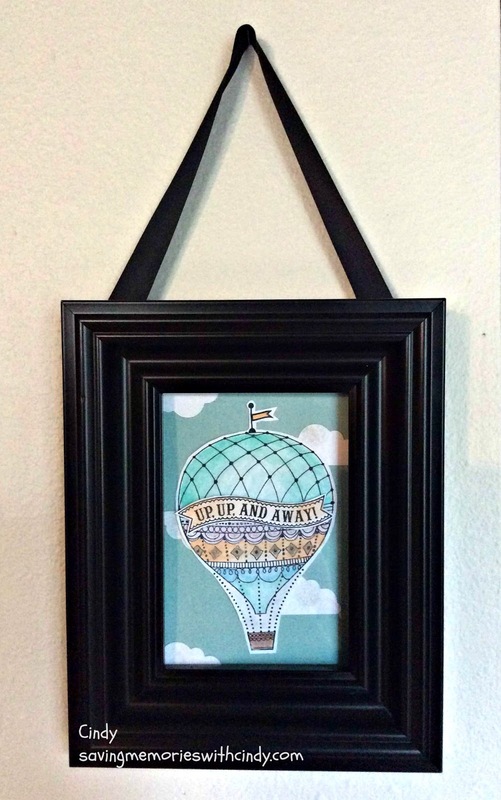 Plus, I mentioned that my friend Karen and I are sharing artwork and ideas each week. Well, this week, I am sharing the best of both worlds. 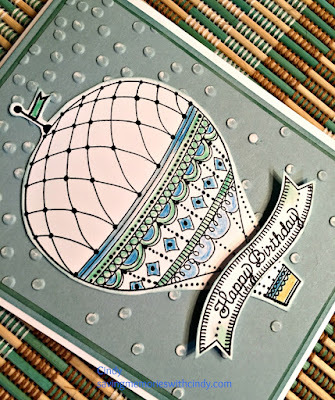 Karen, over at My Paper Studio, shared the CTMH video about the new idea book. I think it is a great idea too! There are so many fun and new products. Enjoy the video. For Now, Happy Crafting! 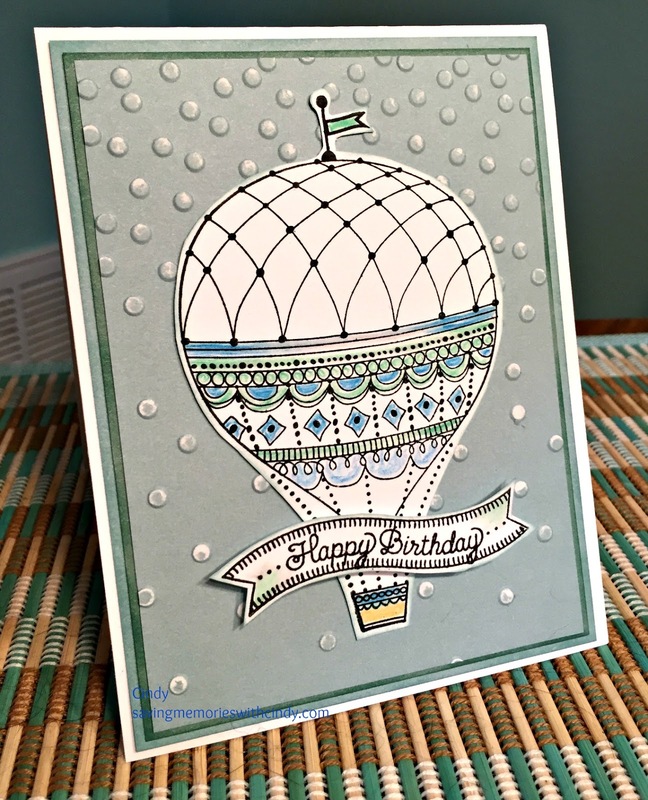 It's time to share another creation with the Balloon Wishes Stamp Set (D1667.) 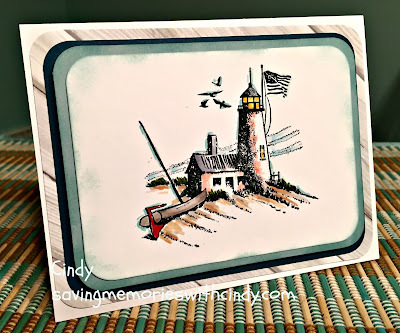 If you remember from past posts, My friend Karen and I have decided to feature a CTMH product monthly and share our creations with that product each week. Today is my turn! Watercolors are so hot right now! You can use them as a background, highlight or paint with them. Today I chose to actually paint my stamped image. Balloon wishes has such a wonderful main image that I thought it would be fun to frame it! First I stamped the balloon with Memento Black. After it dried, it was cut out. I used my CTMH watercolors (Z3132) to paint the image. Tip...when painting a round image, to help it look more realistic, paint the area darker on the outer images and lighter in the center. This will give the illusion of the light reflecting off the item. I used Glacier Cardstock for the background and sanded it to give the appearance of a "real" sky. 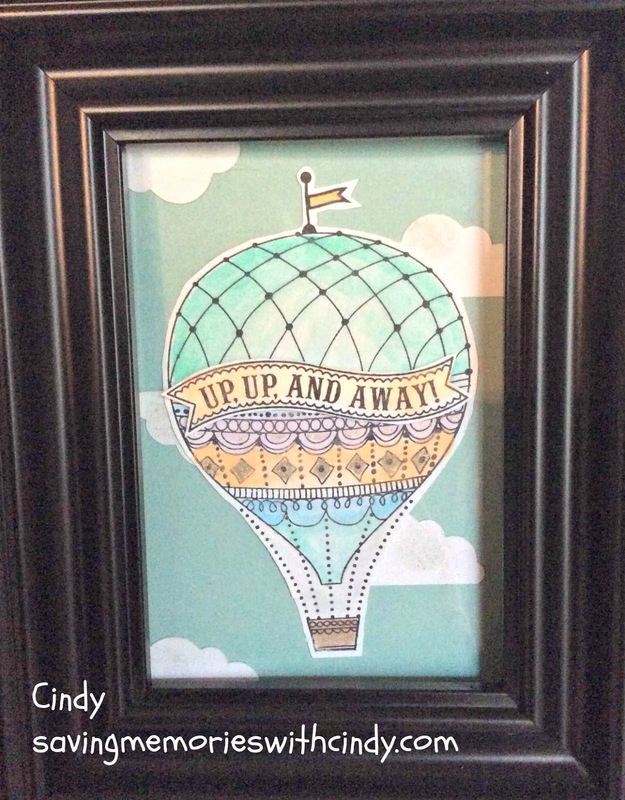 The clouds were cut using one of my CTMH Cricut cartridges and lightly sponged with Whisper ink. 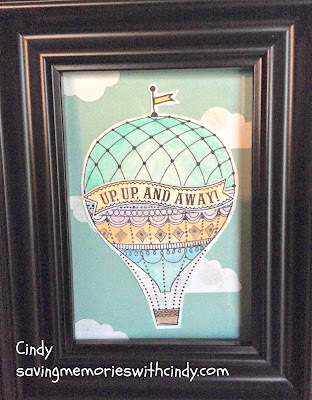 Lastly, the "Up Up and Away" was stamped with the black ink, cut out lightly painted and attached to the balloon using pop up dots. 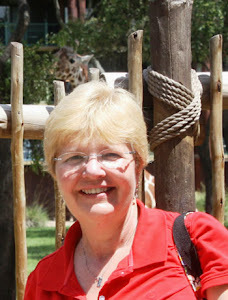 Please feel free to check out Karen's Blog to see what she is creating. And, for sure, don't forget to check out my website for these products along with all of the wonderful Close To My Heart items. For Now, Happy Crafting! I love to color. I've loved to color before it became popular last year. It is relaxing along with making you feel like an artist. The other day, I was going through some of my "older/retired" Close To My Heart stamp sets and came across one that I have always enjoyed using. 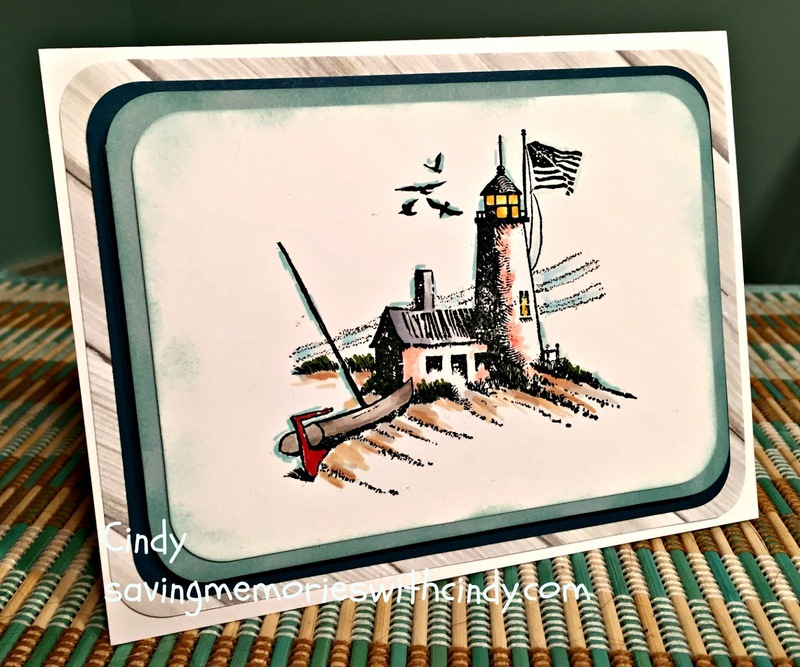 It is called Summer Breeze and pictures a lighthouse, sailboat and beach scene. It is just perfect for coloring! CTMH began collaborating with Shinhan markers a few years ago. They are alcohol based which makes them easy to blend and shade. By the way...this is the second week of my joint venture with Karen and the featured CTMH product. 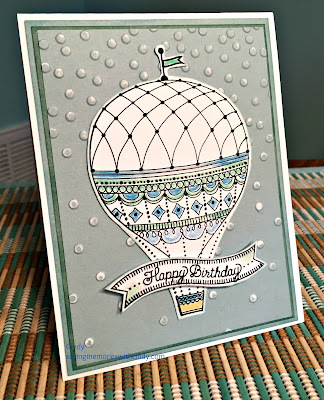 Hop on over to her blog and see what she did with the Balloon Wishes stamp set. For Now, Happy Crafting!